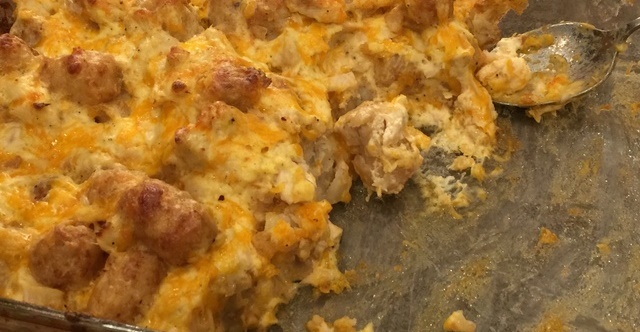 3-Step Miracle Meal: This Casserole Is A Lazy Cook’s Dream! Oh my goodness, I have had it up to here with packing lunches and snacks, driving back and forth, vacuuming, dusting and doing laundry. The last thing I need right now is chopping, boiling and standing by the stove – on top of it all my slow cooker broke down last week and I haven’t had a chance to get a new one yet! Ok, I think that’s enough venting for one day. Thanks for listening! In return I’m going to give you this awesome, lifesaver of a recipe from Erin over at Making Memories With Your Kids. I’m telling you, those memories will take a turn for the better for me AND my kids when I can whip up this yummy casserole in a heartbeat, instead of slaving away in the kitchen for hours! A few simple ingredients, that you most likely already have on hand, is all it takes to make this tasty dinner. And what a meal it is! My children are crazy about tater tots (aren’t we all?) so anything that has to do with them, is an immediate hit at our house. That sounds perfect! I think I’m going to whip up two of these casseroles and freeze the other one for a rainy day! Mix all of the ingredients together and put into a 9 x 13 baking dish. Bake for 1 hour or until hot and bubbly. Quick tip: Choose low-sodium cream of chicken soup for a healthier option. 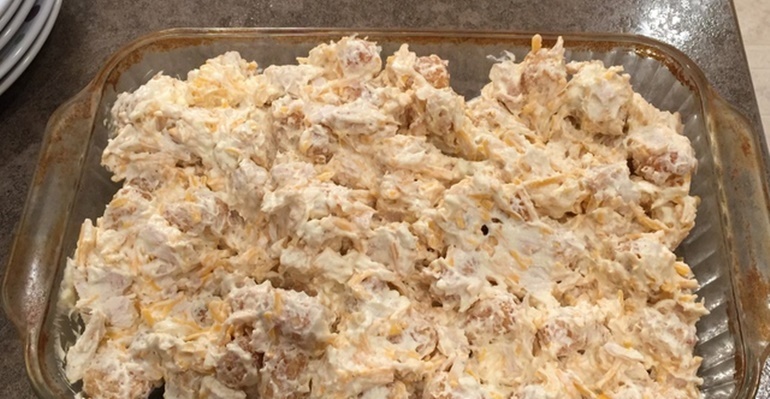 Big thanks to Erin over at Making Memories With Your Kids for this quick and easy casserole!